Beer Coolers from the EXCLUSIVE series are the showcase of unprecedented elegance. The handle suitable for the transportation is retractable, all control elements are hidden at the back of the Draft beer cooler, the sides are smooth without any ventilation grids and a new handle fits perfectly into the modern concept. Luxurious appearance highlights the illuminated front panel. • Dry beer cooler PYGMY 25/K EXCLUSIVE has a continuous cooling performance of 5.3-6.6 Gallon/h max 8 Gallon/h. • The modern compressor cooling unit uses the power input for direct transfer to chilling, which guarantees minimum energy usage and excellent chilled beer. 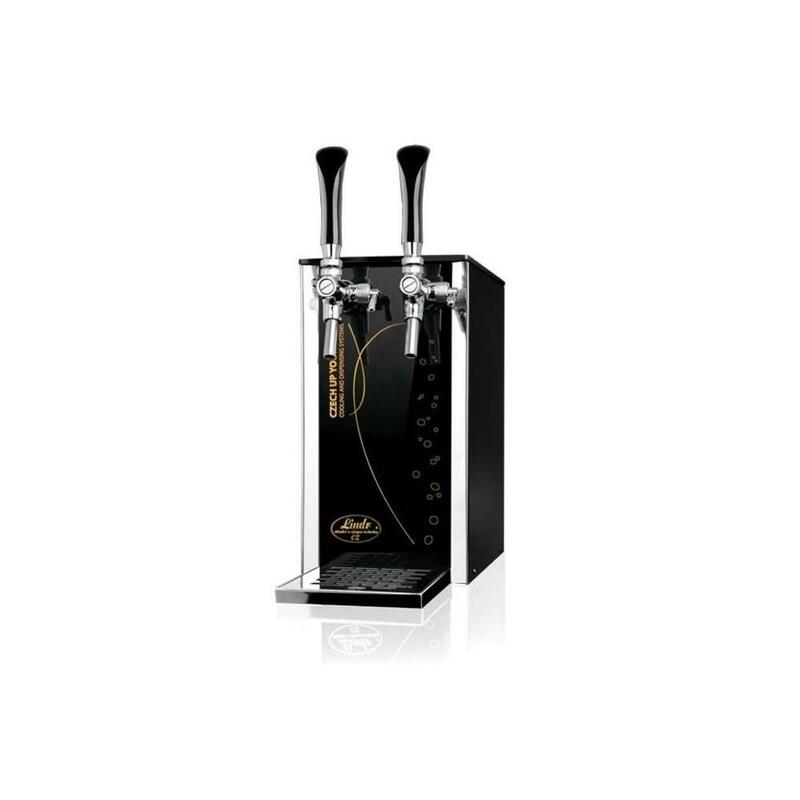 • The thermal block with its high energy capacity is ready to dispense perfectly chilled beer within 2-4 minutes after the cooler has been switched on. If the thermostat is set up to the max., the thermal block can accumulate a large amount of energy that is used for the dispensing of excellent chilled beers in a row. 38F-50F. • The time required for the energy accumulation is about 10 min. • LINDR beer cooling technology is 45% more efficient than its power input. • All external construction is made from stainless steel to give a more clean and aesthetic look. • The materials used meet the highest requirements for hygiene standards and guarantee a long working life of this cooler. • Pygmy dry beer coolers have been recognized by experts as the beer coolers up to 25l/h with the best ratio of price/ performance/ quality/ dimension.